Landon Donovan will almost certainly not return to playing in 2017, multiple sources say. The Galaxy were not offering Donovan a Designated Player contract for next season, and he played under a considerably reduced deal than what had become his norm during his astonishing emergence out of retirement. Donovan returned to the Galaxy in September, with the club suffering multiple key injuries and in need of reinforcements for the home stretch. Donovan scored one goal in six regular season games with LA and added an assist in three playoff starts, with his quest for another MLS Cup coming up short after LA was ousted by the Colorado Rapids in the Western Conference semifinals. The Galaxy are going through numerous changes with the departure of coach and general manager Bruce Arena and Designated Players Robbie Keane and Steven Gerrard, and it looks like replacing Donovan–again–will be on the club's to-do list this winter. 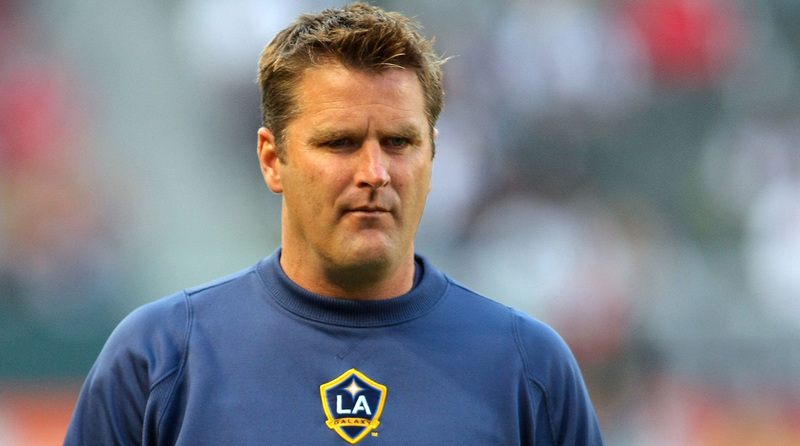 Curt Onalfo is the favorite to be named the next manager of the LA Galaxy. Onalfo, who previously coached Kansas City and D.C. United, has been on LA’s staff since 2011, working under Bruce Arena, who left the club to take the helm of the U.S. men's national team. In his two stints as an MLS manager, Onalfo was 30-41-25 (27-29-22 with Kansas City, 3-12-3 with D.C.), making the playoffs twice with Kansas City. The 47-year-old Onalfo, who also has experience as a U.S. assistant in Arena's first stint with the national team, has been the manager of the Galaxy II USL team for the past three seasons. He has found success to the tune of a 41-20-25 league record and three playoff berths, including a runner-up campaign in 2015. His familiarity and experience with the up-and-coming Galaxy players play into his favor. Multiple sources close to the Galaxy also say that owner AEG is demanding that the club edge closer to profitability. A Galaxy official denied they’re in cost-cutting mode but acknowledged that LA is undergoing a shift in philosophy. In other words, don’t look for more end-of-career signings like Steven Gerrard from newly minted GM Peter Vagenas and club president Chris Klein. 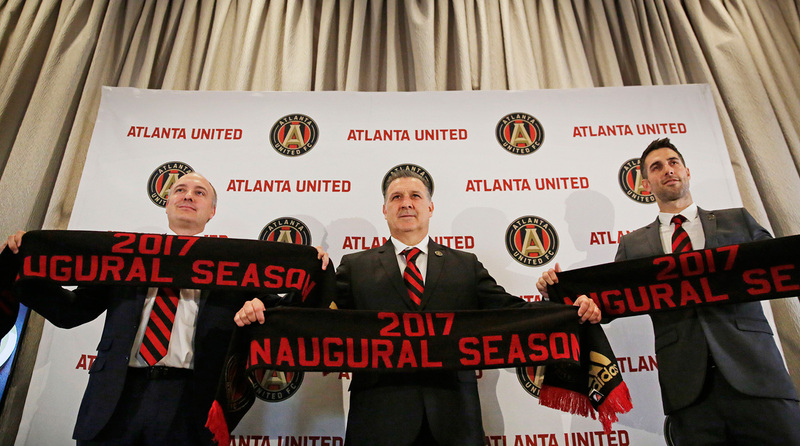 Atlanta United is serious about spending money ahead of its inaugural season. I'm told the transfer fee for 22-year-old Young Designated Player and Paraguayan midfielder Miguel Almirón was $8.5 million (as was previously reported by FourFourTwo)—and that the club is still on track to buy Mexican star Andrés Guardado from PSV Eindhoven in January. Then there's coach Tata Martino, who sources say is the second-highest paid coach in MLS behind NYCFC’s Patrick Vieira. An Atlanta source says, though, that while the club appreciates the ambition of owner Arthur Blank, the franchise isn’t spending beyond its means—that this is all in line with revenues from sponsorships and ticket sales. Atlanta wants to be the next Seattle, or even better, and that includes competing for the playoffs in its first season. Atlanta currently has 10 players signed ahead of next week's MLS expansion draft: Almirón; another Young DP in 22-year-old Argentine winger Hector Villalba; Trinidad & Tobago and Premier League veteran Kenwyne Jones; U.S. youth internationals Andrew Carleton, Brandon Vazquez and Chris Goslin; midfielders Junior Burgos, Chris McCann and Jeffrey Otoo; and its first signing, goalkeeper Alexander Tambakis.